The oldest continuously operating house of haute horlogerie in the world has all the old-school, high-touch craftsmanship you’d expect — with some surprising new tricks up its sleeve. Visiting any watch manufacturer is an education. 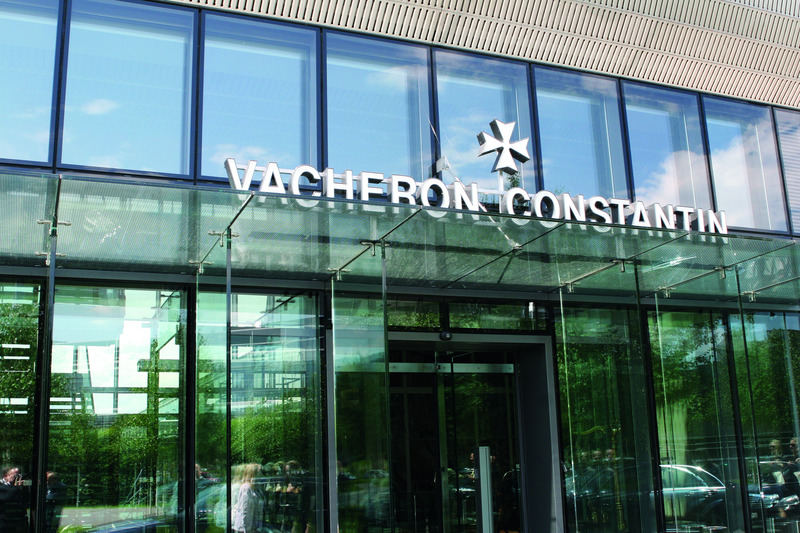 So it was with both eager anticipation and a touch of anxiety that I accepted an invitation from Vacheron Constantin to visit their manufactory in Switzerland — the company, as most die-hard watch fanatics know, dates its founding to the establishment of a workshop by Jean-Marc Vacheron in 1755 (François Constantin joined the firm in 1819) which means that in one form or another, it’s been doing business for 256 years. That kind of longevity brings with it a certain weight of responsibility, but I’m happy to report that while Vacheron Constantin is as rich a treasure house of tradition as you could desire, it also wears its years with a becoming lightness, and is as unafraid of innovation as it is proud of its history. 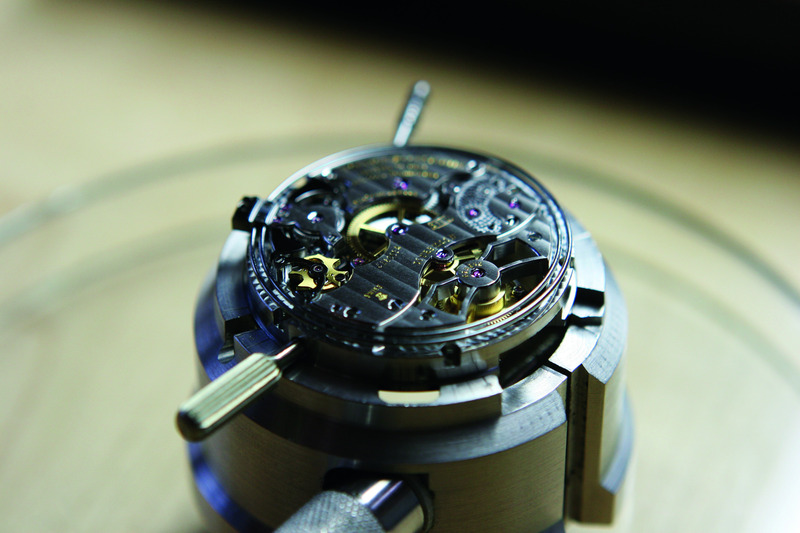 Our tour began in Geneva, where I and a handful of other journalists met at Vacheron Constantin’s state-of-the-art manufacturing centre in Plan-les-Ouates, on the outskirts of Geneva. 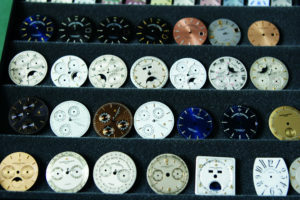 Some wags have suggested that it be renamed Plan-les-Watch, thanks to the large number of watchmaking firms that maintain factories there; Vacheron keeps company with Piaget, Patek Philippe, and Harry Winston, among others. For the companies headquartered there, it provides a generous amount of space, as well as convenient proximity to Geneva. The Vacheron facility is one of the newer buildings, having been inaugurated in 2004, and stands out from its neighbours thanks to its award-winning design by French-Swiss architect Bernard Tschumi. 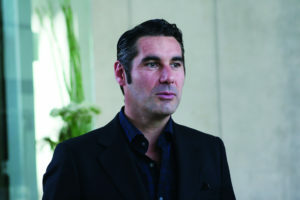 Accompanied by Hugues de Pins, president of Vacheron Constantin North America, we met with Vacheron CEO Juan-Carlos Torres, who discussed with us the firm’s plans for the US market, and also gave us a sneak preview of several limited-edition watches which will be available through the new Vacheron boutique in New York. 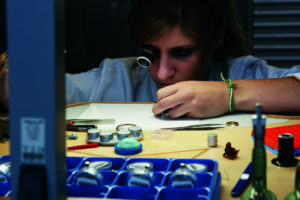 Several highlights of the afternoon included seeing the atelier where Vacheron Constantin produces some of its high art masterpieces, including gem-set watches (one unique feature of which is a “flame cut” for gemstones, unique, in horological jeweling, to Vacheron Constantin) as well as engraved and enamelled dials. These are used by Vacheron Constantin extensively in its Metiers d’Art collection, which includes well-known timepieces such as the Tribute to Great Explorers watches, the La Symbolique des Laques watches, and high jewellery pieces such as the Kalla Haute Couture à Secret (one of which we saw taking shape on a jeweller’s bench) which is decorated with 568 flame-cut diamonds. 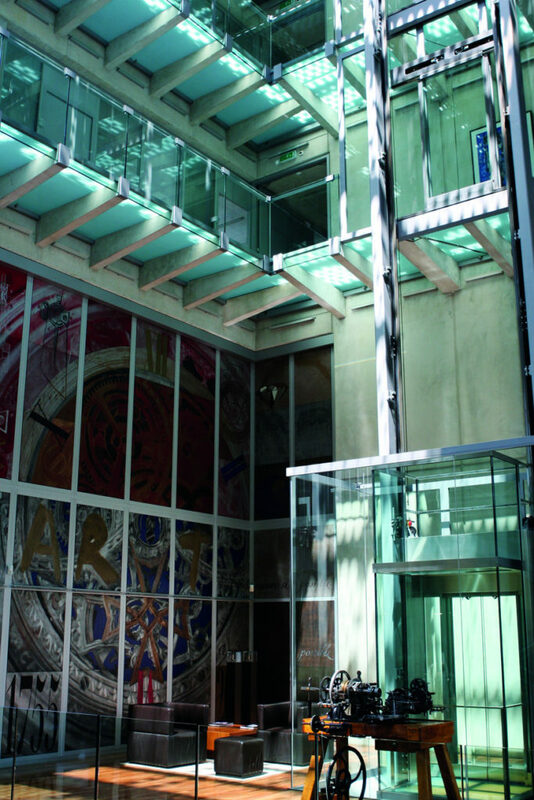 In contrast to the modernist architecture, stepping into the studios where gem-setting, enamelling and engraving take place was like stepping back in time, down to the antique engine-turning machines for creating hand-engraved dials. The combination of engraving and enamelling produces extremely spectacular results in skilled hands, and Vacheron Constantin is one of the few Genevan watchmakers to possess the capability to produce high art dials and haute joallerie pieces completely in-house. The Plan-les-Ouates factory also houses the assembly and adjusting studios for Vacheron Constantin’s high complications, which include a full repertoire of watchmaking’s most respected mechanisms, executed to extremely high standards. 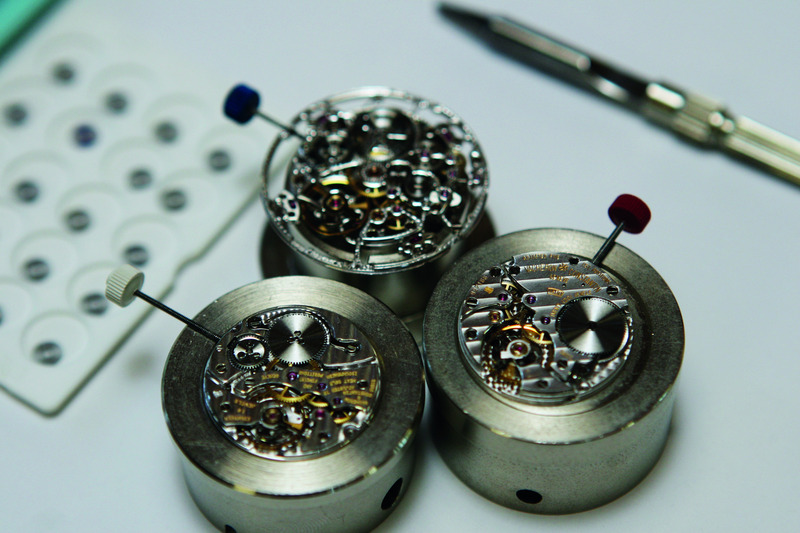 The finishing of movements, such as the minute repeater with tourbillon and perpetual calendar used in the Vacheron Constantin Patrimony Traditionnelle Calibre 2755, is by far the most costly and labour-intensive aspect of their manufacture, and it’s not only the sheer complexity but also the consistency of this level of finish which sets such watches apart even from other haute horlogerie timepieces. Interestingly enough, it’s also here that we saw the ultra-thin calibre 1003 being assembled, which is a reminder that very flat movements require their own particular set of skills, thanks to the relative delicacy of the components and the extremely tight tolerances involved in their construction. Vacheron Constantin has more than one home in Switzerland, however, and the next day our group boarded helicopters for a spectacular morning commute over the mountains separating Geneva from the Vallée de Joux, where Vacheron Constantin maintains another facility in the town of Le Sentier. Though I’ve visited various firms based in the Vallée de Joux on other occasions, it was my first opportunity to see it from the air, and it’s hard to believe that so many of the finest watches in the world come from this small valley nestled in the Jura, surrounded by mountains still sparsely inhabited. Seeing the Vallée from above, as we came in low over stands of pines, was a reminder of just how isolated earlier generations of watchmakers were, and why watchmaking is still so often practiced here — the quiet, clear mountain light and absence of urban distractions made the Vallée de Joux a congenial nursery for fine watchmaking in centuries past and it still enjoys those advantages today. The Le Sentier workshops contain a full range of equipment and house all the technology and crafts necessary to take basic raw materials like sheet brass and rod steel, and breathe mechanical life into them. 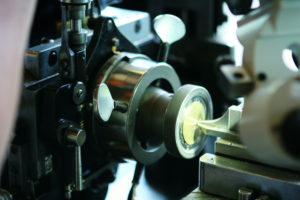 The most ubiquitous tool in the armamentarium of modern watchmaking is well represented: the computer numerical control (CNC) machine tool, capable of taking a watch designed and prototyped entirely virtually (with the use of CAD software) and making components from software specifications. Such machines, in their own way, are as remarkable as the older and better appreciated manual watchmaking crafts, and have largely or entirely replaced the production of unfinished components in almost all watch manufacturing, even at the haute horlogerie level. 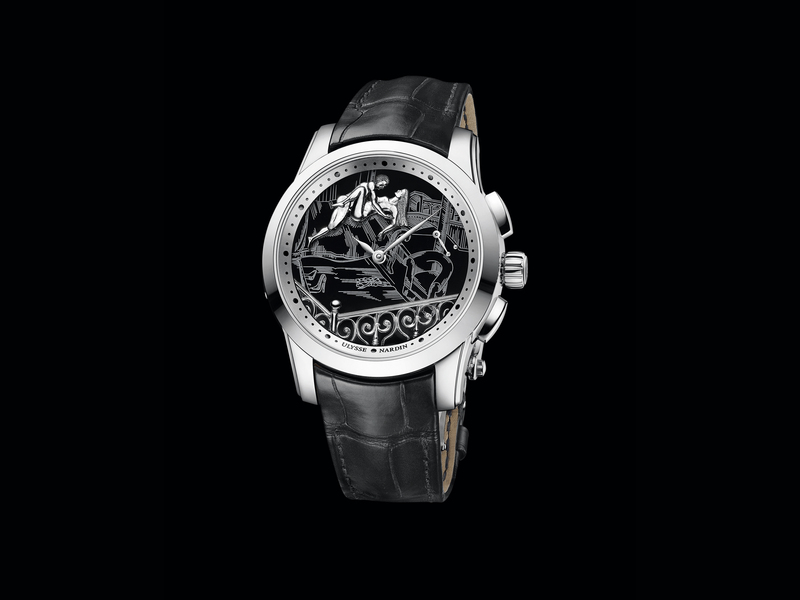 Little is lost and much gained by entrusting basic movement fabrication to such machines, and Vacheron Constantin, like most top-tier manufacturers, makes intelligent use of the versatility and precision of such machines to provide the flexibility, precision, and uniformity of results necessary to ensure reliability and provide a competitive edge in bringing new designs to market. Access to fabrication and assembly areas, both in Plan-les-Ouates and Le Sentier, requires another high-tech rite of passage: donning disposable clean-room attire straight out of the aerospace and semiconductor industries, and passing through airlocks which ensure a contaminant-free environment. 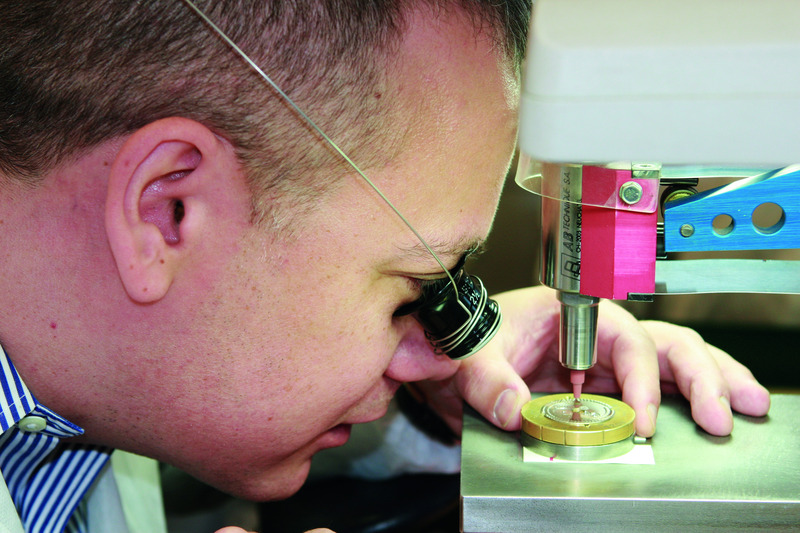 It’s when the components leave the machine tooling area that the wayback machine kicks in again, and much of the balance of the Le Sentier workshops are taken up by the slow business of painstakingly and largely manually executing haute-horlogerie-level finish. While the deft speed with which we saw the finisseurs performing their work made their exacting toil seem almost easy, that impression was quickly dispelled by attempting one technique ourselves. We were given a hapless movement baseplate to which we were invited to apply perlage. The results were as comical as if we’d been asked to perform without any training on the flying trapeze, only fortunately less tragic. The baseplate is manually positioned under a rotating tool for each individual spot of the dozens or hundreds that decorate a particular component, and the technique involves placing each spot so that it exactly (and I do mean exactly) bisects the preceding one. Our attempts to imitate the rapidity and fluency with which the experts at Vacheron Constantin executed perlage led to laughably inadequate results, but though a few perfectly serviceable movement plates were sacrificed, it was worth it to drive home the point: this is not as easy as it looks. A quick chopper flight back to the Geneva airport (which took us through a picturesque but fortunately low-turbulence cloudburst) and a short car ride brought us to our last stop of the trip. 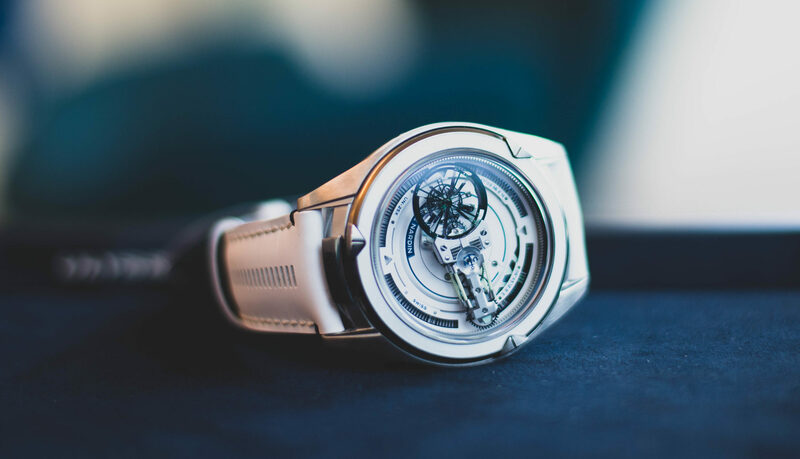 The company known as Stern Creations has been owned since 2000 by the Richemont Group, and counts a number of watchmaking’s most famous firms as clients (both within and outside the Richemont stable of haute horlogerie brands). 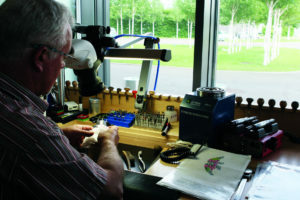 Stern Creations is an important part of watchmaking history in the region — the two owners of what was then Fabriques de Cadrans Stern Frères, Charles and Jean Stern, bought Patek Philippe in the 1930s, and of course, the Stern family has owned and operated Patek Philippe ever since. Dial-making is not often shown during manufactory visits, perhaps due to the reluctance of haute horlogerie brands to openly present a third-party supplier (albeit, in this case, one owned by the same holding company). Such candour is to Vacheron’s credit. While the notion of doing everything in-house is sedulously promoted by many companies, the reality, as usual, is more complex. Historically, watchmaking has never been something done exclusively “in-house” and virtually all watchmaking companies at every level, throughout their history, acquired at least some components from specialist suppliers — especially cases, dials and bracelets, and many great names made and still make extensive use of third-party movements as well. 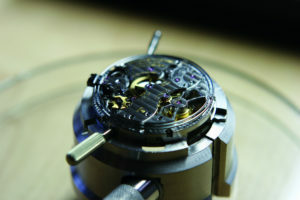 The myth that vertical integration in and of itself guarantees some extraordinary quality or exclusivity is well worth dispelling, although it remains true that as a symbol of legitimacy as well as a very real point of distinction, it can be an often compelling characteristic of the watchmaking houses that embrace it. Our visit to Stern Creations was a rare opportunity to appreciate the complexity and sophistication of dial-making. 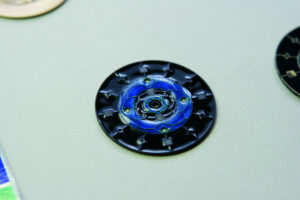 High-end watch dials are not just perfunctory afterthoughts — they are complex, miniature works of art in their own right. Making a high-end watch dial is a multi-stage process that involves the cutting out and meticulous polishing of the basic dial; the application of dial feet, markers and other dial furniture; the application of multiple coats of paint; and such specialist crafts as marquetry, engraving, and enamelling, all of which Stern Creations provides; and the vocabulary of styles and finishes in watch hands alone would justify an encyclopaedia’s worth of information. That Vacheron Constantin appreciates the art of the dial is demonstrated by both its comprehensive presentation of traditional dial-crafting in its watches, as well as its inclusion of up-to-the-minute high-tech methods in the dials for the Quai de L’Ile collection. Does Vacheron Constantin fulfill the expectations its incredible history suggests? Certainly. But it does so with a quiet confidence that’s a refreshing change from the sometimes stridently insistent status-mongering of many luxury brands. If a luxury object — of any kind — is fundamentally a way of communicating, a tool for linking the owner with the spirit of the people behind it, then a watch from Vacheron Constantin is a true rarity: a tangible connection to a rich past, noble present, and dynamic future. Adapted from an article by Jack Forster, published in 2011.